Most organizations neglect the forward thinking of their Brand, the majority of organizations generally breathe a sigh of relief when the Brand has been determined – “there, that’s done” is generally the attitude. 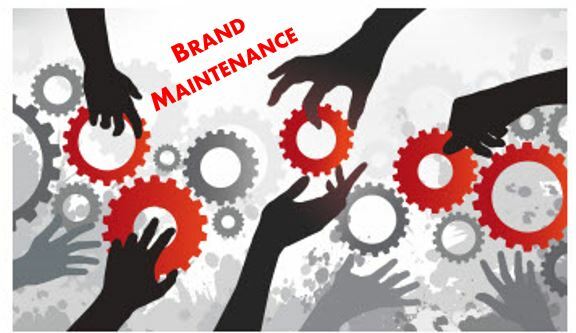 Successful brand maintenance has become a survival factor for businesses. To develop, shape, promote and maintain a brand is a never-ending task. Market review – New competitors in your arena. Keep on Target – Make sure you keep your message clean and to the point. In order for brand leadership to develop steadily and revenues to maintain their growth and consistent attention is required. BRANDS are the ‘crown jewels’ of any business! For further insight into Brand Maintenance, please view the following SlideShare deck.